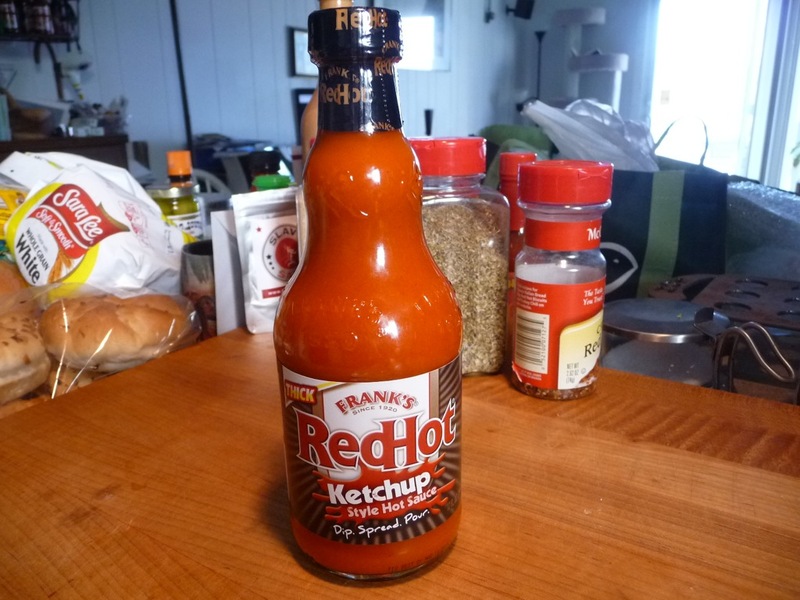 Franks RedHot Ketchup Style Hot Sauce – An Identity Crisis? Dip. Spread. Pour. That’s the mantra printed on the label for Frank’s RedHot Ketchup Style Hot Sauce. But dip, spread or pour on what? What do we do with this sauce, Franks? Is Franks a ketchup or hot sauce or wing sauce? Is this a ketchup (we’ll save the catsup vs. ketchup debate for another post), a hot sauce, or a wing sauce? Wait. You may be asking “why do you bring up wing sauce”? Well, there’s butter in this bottle – a “natural butter type flavor” to be exact. Enough “butter flavor” to invoke the classic taste of Buffalo Wings. 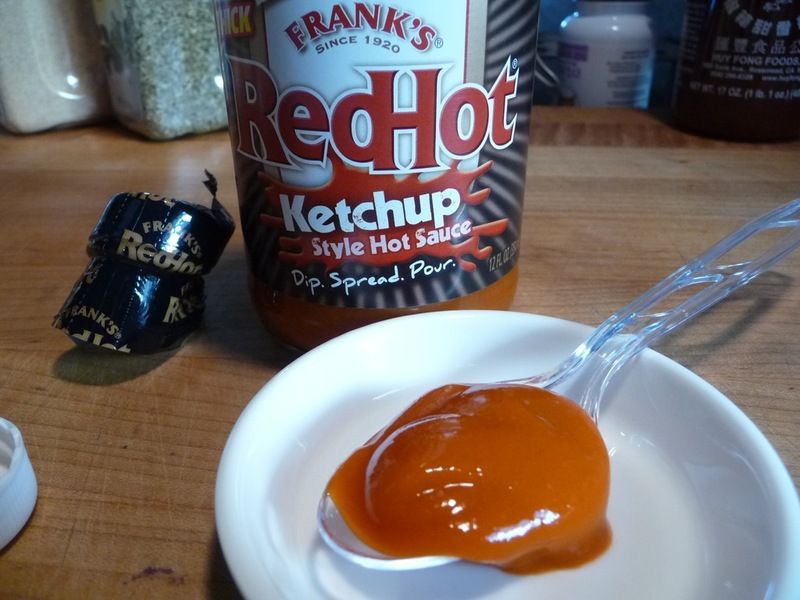 And we all know that Frank’s RedHot is THE sauce used in the Original Buffalo Wings recipe. Frank’s RedHot Ketchup Style Hot Sauce gives you the great taste of Cayenne peppers with a thicker & richer ketchup-like consistency for dipping, spreading or pouring. The label also has suggested uses: Hamburgers, Chicken Nuggets (really? ), French Fries and Omelettes. Interestingly, all the little graphics under the suggestions really look like the McD-place products. Hmmm. Ingredients: distilled vinegar, aged cayenne red peppers, salt, water, modified food starch, canola oil, paprika, carrot fiber, xanthan gum, sodium benzoate (as a preservative), natural butter type flavor and garlic powder. Texture & Appearance: Thick and catsup-y with an odd orange hue, probably from the butter flavoring. Taste Straight Up: Tastes for all the world like a thicker version of their “ready made” wing sauce, with just a hint more ketchup for body and tomato flavor – but not much. Bottom line, it’s a thicker version of their wing sauce made for dipping. Heat Level: – With a decent amount of heat from the cayenne peppers, this is tame enough that Micky D’s could serve it with those “chicken” nugget things and the kiddies would want more. Considerably less hot than Frank’s RedHot Original, it still has some of the familiar bite from Frank’s. Label/Graphics: It’s the same iconic curvy bottle of Frank’s that we all know and love, with the addition of a badge of “THICK” in the corner, and big bold “Ketchup Style Hot Sauce” along the bottom. And, at this point, I have to point out that Frank’s alone has “invented” the phrase “ketchup style”. There is no other on the market, and for good reason. Technically, there is no such thing. 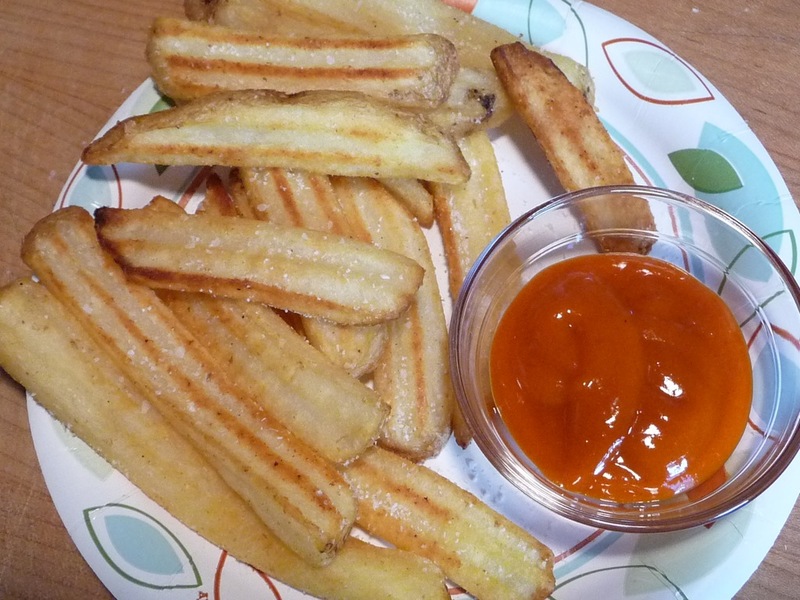 Overall Rating (Taste on Food, Final Thoughts): I whipped up some quick Ore-Ida fries to dip into this sauce. At first you get the unmistakeable flavor of Frank’s, then just when you think “well, this is Frank’s RedHot in Catsup”, the butter flavor kicks in, and you realize you are dipping fries into a thick wing sauce. 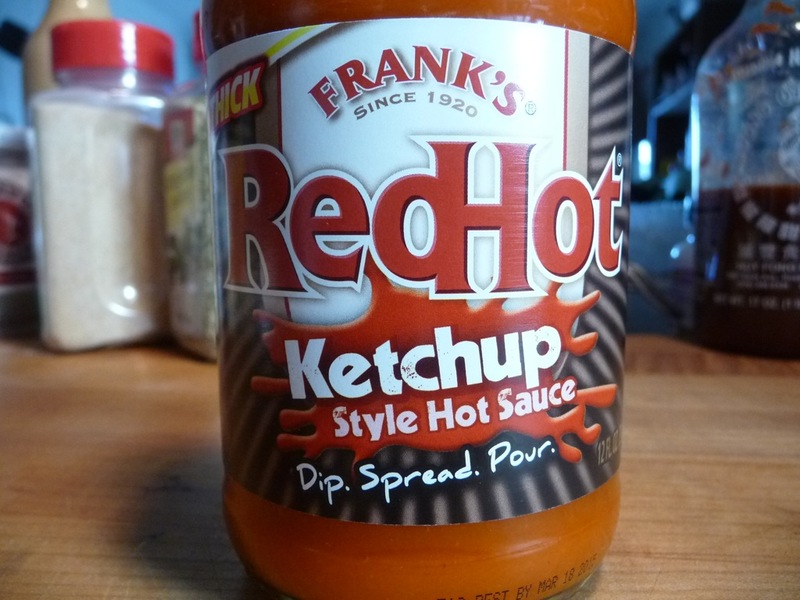 It’s certainly not “bad” tasting, I just think it suffers from an identity crisis, and I wonder who, what, or why the powers that be at Frank’s RedHot (essentially Reckitt Benckiser of Parsippany, NJ) decided they needed to produce this oddball product. On your grocer’s shelves, get some before it’s gone… as this may be a short-lived product in the lineup of the venerable Frank’s RedHot brand.